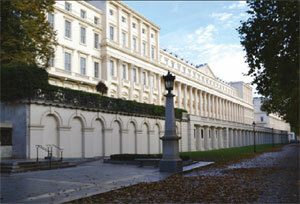 Home » News » Housing Market » Bag a bargain London mansion! It’s enough to make us weep. London’s falling prime-resi property prices are creating a massive mansion market-on-a- budget. The value of homes in the smartest addresses fell by a quarter over the past year, according to Your Move. Uncertainty about Brexit is to blame, yet, says London property lawyer Collyer Bristow, international investors remain active and are snapping up the bargains. Hedge fund billionaire Ken Griffin has purchased 3 Carlton Terrace – a 20,000sqft Georgian house overlooking St James’s Park – for £95m, down from £145m, yet it’s still the most expensive home sold in London since 2011.